Cuddle is comprised of a sculptural play of concentric circles. A metal stem supports a double-layer shade of Mylar and linen to evenly diffuse the light source. Using singly or in groupings to create a dramatic and sophisticated look in your home. Illuma-Flex monorail track system offers unparalleled simplicity and flexibility for general and accent lighting. Flexible track can be shaped and curved into almost any desired shape to form a truly unique creation. 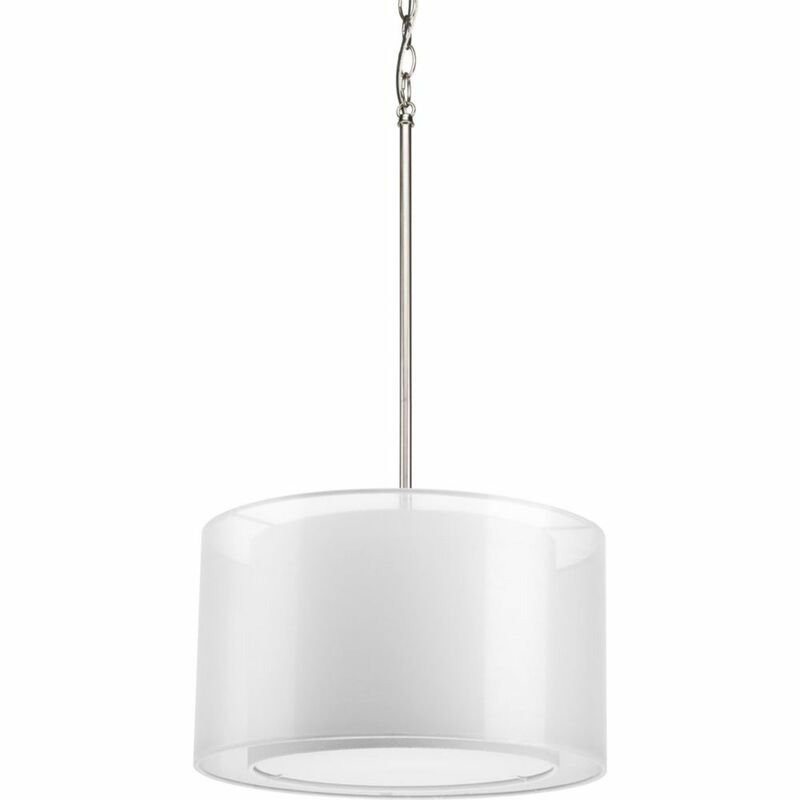 Combine spotlights and colourful pendants to dramatically light your space and enhance any room. Accessory transformers, hanging systems and connectors sold separately. Cuddle Collection 1-Light Brushed Nickel Pendant Cuddle is comprised of a sculptural play of concentric circles. A metal stem supports a double-layer shade of Mylar and linen to evenly diffuse the light source. Using singly or in groupings to create a dramatic and sophisticated look in your home.